HRH Queen Elizabeth II officially opens the Commonwealth Heads Of Government Meeting, Perth Western Australia 2011. Hosted by the Australian Government this event is known as CHOGM, and was the largest and most significant international conference held in Australia this year. Coinciding with CHOGM were many other events including the Commonwealth Business, Peoples and Youth Forums along with community activities and a Commonwealth festival. On the final day of the events calendar was an invitation to join Her Majesty Queen Elizabeth II and HRH Prince Phillip the Duke Of Edinburgh for a barbecue on Perth foreshore. This would be the final day of the royal visit, with over 100,000 Australians attending that day. 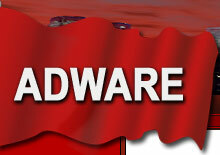 Adware proudly appointed as the Official flag makers flagpole suppliers to CHOGM. Above HRH Queen Elizabeth II, The Duke of Edinburgh, Commonwealth Secretary-General and former PM of Australia, enter the Perth Convention Centre lined with 54 Flags of the Commonwealth Nations. Using correct flag protocol the flagpoles were arranged in alphabetical order, beginning with The Australian National Flag. With the many parallel events held during CHOGM, Adware proudly supplied many flagpoles, flagpole stands and indoor flags, including the highest quality outdoor flags & outdoor flagpoles, indoor table flagpole stands and table flags to Perth WA. England's Matthew Selt and Jamie Cope stand proudly with the UK National flag at the Australian Snooker Goldfields Open Reception, held at the Bendigo Town Hall. This tournament will be one Matthew will never forget after defeating the reigning World Champion in the first round, which was one of the most exciting matches played. High quality National flags and Indoor Flagpoles with gold flagpole finials, welcomed 32 first class international snooker competitors from around the world. The City of Bendigo, players and guests were all delighted with our professional flagpole set up and service as International flags suppliers to this major event. Designed, manufactured & installed by Adware, these Banner Poles make a bold advertising statement along the foot bridge to Etihad Stadium. Our high strength durable Banner Poles enable fast and simple Banner changes whenever required. Our range includes facade or wall mount banner poles, street light pole banner mountings, indoor timber school banner poles and stands, steel banner flagpoles along with custom made banner poles suitable for all banners & flag applications.